There is an old saying that “voting changes nothing”. This is absolutely true in the case of Thailand, where the military junta are still in power and there is no new government, despite the fact that the junta lost the popular vote to pro-democracy parties in the March election. One month has now elapsed since the Thai junta’s flawed elections and incredibly the final result has yet to be announced. The reason for this is that the junta-appointed electoral commission is busy trying to engineer and cover up the election fraud. The commission is yet to release voting figures for each constituency. This is probably because there are some clear irregularities is some areas. But the real fraud is taking place with the Electoral Commission’s complex formula for calculating the number of “Party List” MPs. Seats in the 500 seat elected parliament are split between 350 constituency seats and 150 party list seats. The formula for calculating the number of Party List MPs is so complicated that even the Electoral Commission does not understand it. It has sent its formula for the junta appointed courts to approve. The details of the complicated formula for the number of Party List seats does not really matter. What matters is that the result can be manipulated so that Generalissimo Prayut stays as Prime Minister and that his party manages to create an overall majority to back up this fraud. So the process seems to start with writing down the number of Party List seats necessary for a junta majority, irrespective of the number of votes. The Electoral Commission can then work backwards to construct a formula which allows this to happen. This involves giving some small irrelevant anti-democratic parties some Party List seats. Even before this outright fraud, the junta did all in its dictatorial power to make sure it was “seen” to “win” the election. This involved giving civilian parties serious handicaps in the run up to the election, dissolving Taksin’s Thai Raksa Chart Party for no legitimate reason, and stacking the Senate with military appointees. After the election, the leader of the new Future Forward Party was then charged with sedition and told that his trial would be held in a military court. The Future Forward Party won a large number of votes on an anti-military platform. Military figures and junta toadies have also been threatening all those who oppose the military, in a return to crude Cold War tactics. The upshot of all this is that the March 2019 elections were not in any way free or fair and Thailand cannot be said to have “returned to democracy”. The junta is intent on continuing its illegitimate and authoritarian rule by claiming to govern through an elected parliament. The struggle for democracy and human rights must continue. After the Thai junta’s recent flawed elections, there are voices of pessimism being raised about the prospects of democracy in the country. Many raise the monarchy as a reason to explain why the pro-democracy side are “always” unsuccessful. But they ignore the evidence about how little power is actually in the hands of King Wachiralongkorn and more importantly, they ignore Thai history. Wachiralongkorn is a play-boy puppet of the military junta, who spends almost all of his time living in Germany. He has never expressed a view about politics and society. When he quoted his father, just before the election, to say that people should vote for “good” people, if it was supposed to encourage citizens to vote for the junta party, it did not work. A majority of people voted for anti-military parties and the proportion voting for pro-junta parties corresponded to the number of votes cast by middle-class yellow shirts in the 2011 election. [See https://bit.ly/2EOjsNL ]. The democratic space in Thailand, and in any other society, is never a fixed item. It expands and contracts in accordance with the level of struggle and public opinion. The democratic space in Thailand was expanded after the victories of mass social movements against the military in 1973 and 1992. Even in 2010, when the red shirts were gunned down in cold blood, the actions of the movement forced an election one year later, which Yingluk’s Pua Thai Party won in a landslide victory. It is interesting to note that in 1991, King Pumipon came out and praised junta head Suchinda. 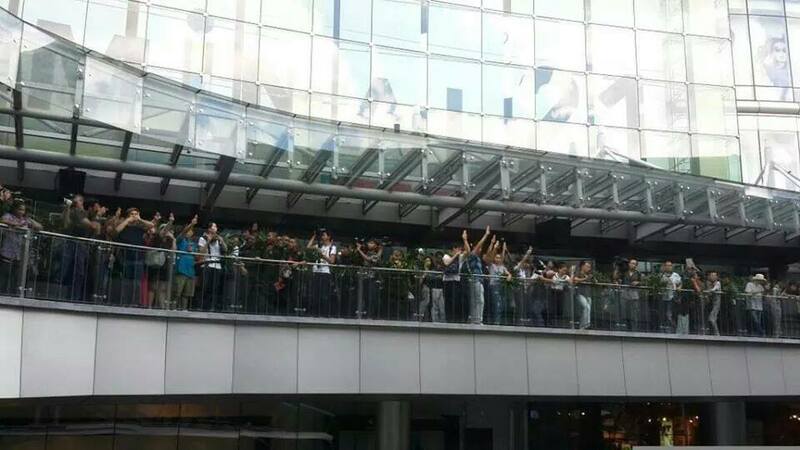 One year later, a mass movement toppled Suchinda from power. So much for the influence of the monarchy! Often, the voices of pessimism reflect mood swings, from wildly optimistic hopes that the junta and its legacy could be destroyed merely by putting a cross against pro-democracy parties on the ballot paper, and the realisation that this will not be nearly enough. As I have written before, this is understandable and deep down people knew in their heart of hearts that a long struggle would be necessary to achieve democracy. People were just desperate to believe in an easier route. But activists need to do better than this. They need to think about Antonio Gramsci’s motto on looking at politics. Gramsci proposed that we should have “pessimism of the intellect and optimism of the will”. In terms of current Thai politics this means that we should realise the real obstacles to building democracy. In a nutshell we are faced with a “Guided Democracy” system crafted by the military, which has created a 20 year National Strategy, a military appointed senate and judiciary, and a warped electoral process which favours the junta. The junta is also still using repression against activists. We also need to realise that in the real world, the only power that can destroy the military’s hold on politics is a mass social movement aimed at expanding the democratic space. We need to see that such a movement, in the shape of the red shirts, was put into cold storage and destroyed by Taksin and his allies, in the mistaken hope that a grubby deal could be reached with the military. Finally, we need to take a hard look at the weak state of the pro-democracy movement since Prayut’s military coup in 2014. 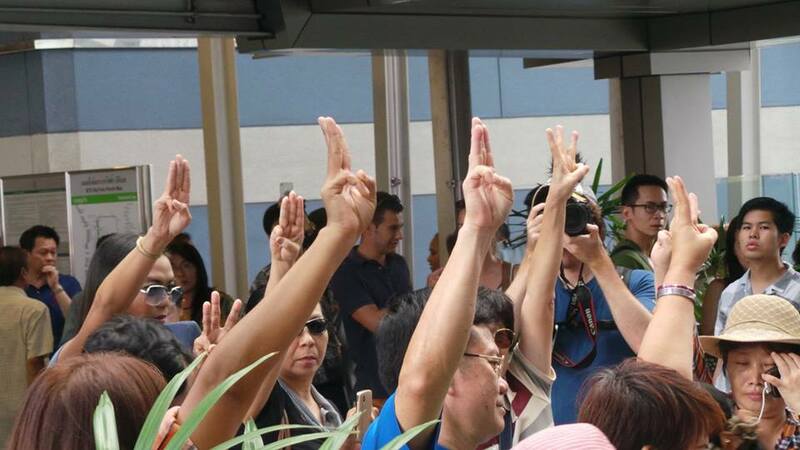 It has been fragmented and has concentrated on symbolic gestures by a small number of young activists. This is the “pessimism of the intellect”. But the “optimism of the will” means that after studying the reality of the Thai history of struggle, we can realise that a mass social movement can gradually be built and such movements have beaten the military in the past. But to be successful, lessons also need to be learnt from past mistakes such as allowing people like Taksin to have too much influence over the movement, failing to build the movement among students, young people and trade unions, and relying on static prolonged street encampments rather than individual days of protests and strikes. The junta can be beaten, but only by building a mass movement guided by ideas grounded in reality which are a result of vigorous and democratic discussions within the movement. [Further reading: Thai Politics after the 2019 Election https://bit.ly/2UsA30a ]. In my previous post I wrote that: “Both in terms of the popular votes for and against the junta and the estimates of seats, Prayut has no legitimate democratic claim to form a government. But that may not stop him from muscling his way into government. He has already claimed the right to form a government because his party won most votes, ignoring the higher combined votes against the junta. Even if he does not install himself as Prime Minister, the military will still use every means possible stop a civilian government from functioning normally”. The obvious conclusion from any study of the ebb and flow of class struggle in Thailand since 1932, is that progressive steps to increase the democratic space and to reduce inequality have always taken place in the context of previous victories or pressure from mass social movements. This is the kind of idea put forward by Rosa Luxemburg a century ago in her important pamphlet on “Reform or Revolution”. An example of the importance of social movements is the consequences of the 1992 uprising against the military and the events after that. In 1991 the military staged a coup against an elected government which it feared would reduce its role in society. Resistance to the coup took a year to gather momentum, but in May 1992 a mass uprising in Bangkok braved deadly gunfire from the army and overthrew the junta. A key issue was that the junta head had appointed himself as Prime Minister after the 1992 elections. Many activists in this uprising had previously cut their teeth in the struggles of the 1970s. 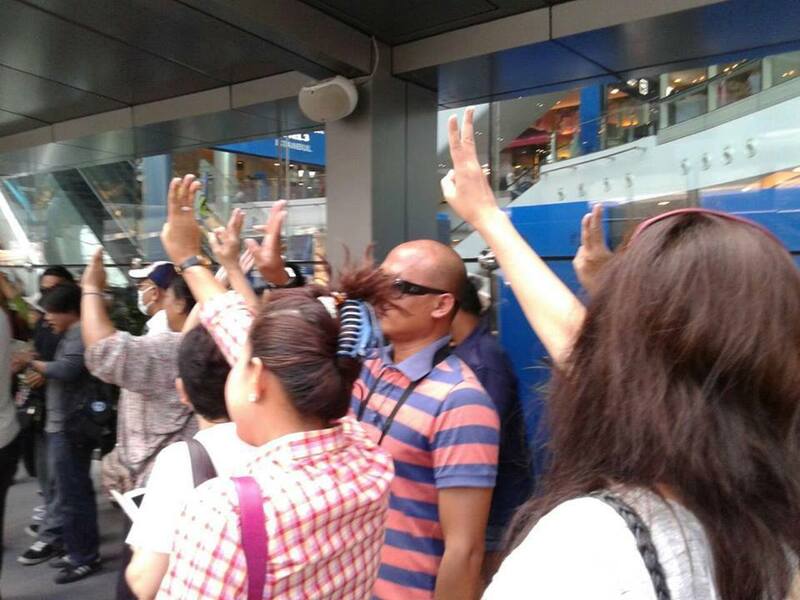 Four years after this uprising, Thailand experienced a deep economic crisis. Activists pushed for a new, more democratic constitution, in the hope that the country could escape from the cycle of corruption, human rights abuses and military coups. There was also an increase in workers’ struggles and one factory was set alight by workers who had had their wages slashed as a result of the crisis. The new democratic constitution was only possible because of the victorious uprising against the military. In the general election of January 2001, Taksin Shinawat’s Thai Rak Thai Party (TRT) won a landslide victory. The election victory was in response to previous government policy under the Democrats, which had totally ignored the plight of the rural and urban poor during the crisis. TRT also made 3 important promises to the electorate. These were (1) a promise to introduce a Universal Health Care Scheme for all citizens, (2) a promise to provide a 1 million baht job creation loan to each village in order to stimulate economic activity and (3) a promise to introduce a debt moratorium for farmers. The policies of TRT arose from a number of factors such as the victory against the military in 1992 and the climate for reform, the 1997 economic crisis and its effects upon ordinary people and finally the influence of some ex-student activists from the 1970s within the party. The government delivered on all their promises which resulted in mass support for the party. 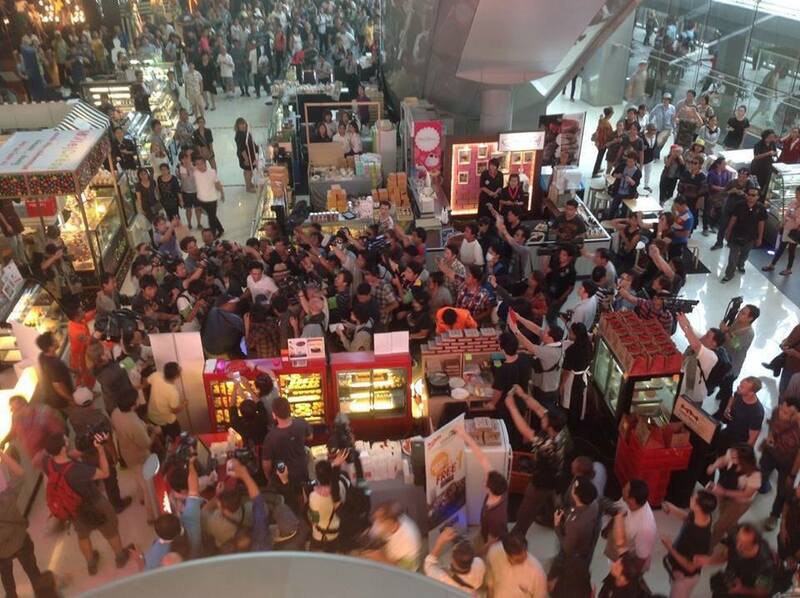 The military and the Democrat government responded to the rise of the Red Shirts with lethal violence against unarmed pro-democracy demonstrators. Yet, pressure from the Red Shirts meant that elections were held in 2011 and Taksin’s Pua Thai Party won a landslide victory in these elections. Yingluk became Prime Minister. But her government was weak and operated under threats from the military and the conservative middle-classes, which eventually wrecked the 2014 elections. An important weakness of the Yingluk government was the fact that she refused to call on the Red Shirt movement to protect her government. Instead, Taksin and Yingluk preferred to make compromises with the military and the conservatives, which merely encouraged anti-democratic forces. Despite the fact that the Red Shirt movement was a grass-roots social movement with many elements of self-activity, political leadership remained with Taksin and his allies. More progressive voices were too small to develop an independent leadership. This meant that Taksin was able to de-mobilise the movement after the election of the Yingluk government. This opened the door to the Prayut coup of 2014. What all this means for the present situation in Thailand, after the 2019 election, is that only the pressure from a mass social movement can prevent the military from stealing the election or, in the event of a new government led by the Pua Thai or Future Forward parties, such a movement will be vital to ensure that the government can move forward to dismantle the legacy of the dictatorship. Already, the leadership of the Future Forward Party are facing lawsuits initiated by the military in order to weaken the opposition to the dictatorship. Parliamentary politics on its own cannot achieve this. If no movement is built, the legacy of the dictatorship will be extended far into the future. It will take time a much discussion in order to build a new pro-democracy social movement because the leaders of the main anti-junta parties have not shown an interest in this. But a new movement can be built if people learn the lessons from the past. What now after the Thai election? The flawed election of March 2019 was conducted under undemocratic rules written by Prayut’s military junta. The junta built a “Guided Democracy” system under their control. Important elements of this consist of the “National 20 Year Strategy” and various junta-appointed bodies, including the Senate, the Electoral Commission and the Constitutional Court. Dictator Prayut has an in-built advantage due to his control of 250 military-appointed senators. This means that he can become Prime Minister if his military party, Palang Pracharut, is backed by votes from the Senate. Yet, Prayut and his party lost the popular vote to pro-democracy parties and had fewer elected seats. The junta party did not win the popular vote, as claimed by the dictator himself, and echoed by the foreign media. We have to understand that the junta’s election rules resulted in fragmentation of political parties. This was a blatant anti-Taksin measure. In response, Taksin’s parties divided into two main parties, Pua Thai and Thai Raksa Chart, with a couple more minor parties like Pua Chart and Pracharchart. For this reason it is not valid to look at the number of votes won by just one party. A bigger picture of the popular vote for and against the regime needs to be viewed. In the run up to the election, Prayut and his military junta remained in power. Pro-democracy civilian politicians were continually harassed and prevented from electioneering until the last minute, unlike the junta party. The junta-appointed Electoral Commission and the Constitutional Court dissolved Thai Raksa Chart Party because it proposed Princess Ubonrut as candidate for Prime Minister. This was a major act of election rigging by the junta. Despite complaints to the Electoral Commission about the junta party’s mis-use of public funds and the fact that Prayut should have been ineligible to stand as a Prime Ministerial candidate because he was still a “State Official”, no action was taken. All this shows the blatant manipulation of the election by the junta. The Electoral Commission faced a number of questions about how it conducted the vote. Vote counting suddenly stopped for 3 days for no reason in the early hours of 25th March, when 94% of the votes were counted. More questions also arose because there were 2 million supposedly “spoilt votes”. Many voting stations had dubious numbers of votes which did not tally with the number of people registered to vote, there was much confusion about seat numbers, and votes from New Zealand took a week to arrive and were deemed “invalid” by the Commission. To top it all the final tally of votes announced on 28th March was full of discrepancies. No wonder then, that huge numbers of citizens believe that there was widespread fraud. Never the less, it is unlikely that any blatant large scale ballot box stuffing took place. The shambles over the election results was likely to be a combination of total incompetence by the Electoral Commission and minor fraud. The commission claim that the final number of seats for each party would not be declared until May! This gives the Commission plenty of time to disqualify any candidates or parties opposed to the junta. Despite the flawed nature of the election, the voting process provided an opportunity for citizens to express a vote of no confidence in the dictatorship by voting for Pua Thai, Pua Chart, Pracharchart, Future Forward and Seri Ruam Thai Parties. Even though the precise figures are problematic, the overall picture of the voting tally remained the same since 25th March. The pro-democracy side won the popular vote. The majority of voters were not stupid. They knew in their heart of hearts that the junta had fixed the rules. Yet despite this, they wanted to optimistically dream that placing a cross against pro-democracy parties could destroy the junta. The alternative to this would be to accept that a long hard struggle against the junta would be necessary. This is understandable. But now people are waking up. Pua Thai and Future Forward Party won 7.9 and 6.3 million votes, respectively. Their combined popular vote is therefore 14.2 million. If three other minor parties which are opposed to the junta are counted, the combined anti-junta vote stands at 15.9 million or 41.5%. The junta’s party, Palang Pracharrut, won 8.4 million votes. Two parties which stated before the election that they would ally with the junta, Poomjai Thai and Sutep’s Ruam Palang Pracharchart Thai Parties won 3.7 million and 0.4 million votes, respectively, bringing the combined pro-junta vote to only 12.5 million or 32.6%. The Democrat Party vote is not counted in the above combined pro-junta tally because before the election, their leader Abhisit Vejjajiva, declared that they would not support Prayut for Prime Minister. The Democrat Party suffered a big defeat, gaining only 4 million votes, down from 11.4 million in the 2011 election. 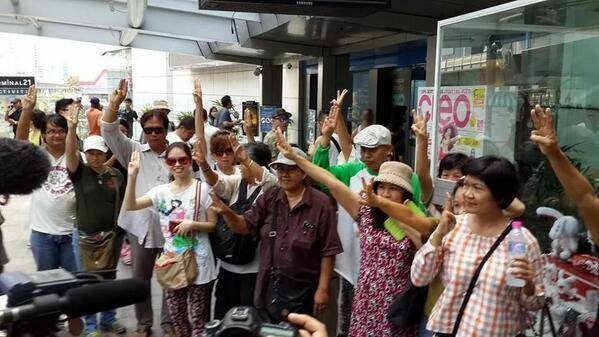 They failed to get a single seat in Bangkok. Sutep’s mafia-style grip on his home province in the south was also destroyed and his party performed abysmally. The NGO-influenced Commoners’ party also performed badly, winning only five thousand votes. Seats in the 500 seat elected parliament are split between 350 constituency seats and 150 party list seats. The allocation of “party list” seats under the junta’s rules is a ridiculously complicated affair, designed to weigh against large parties like Pua Thai. The numbers of party list seats will not be confirmed until May and can easily change. Estimates of total numbers of seats point to Pua Thai gaining 137 seats and Future Forward gaining 89 seats. Seven parties, led by Pua Thai and Future Forward, announced on 27th March that they would try to form an anti-junta government. Other parties supporting this coalition include Pua Chart, Pracharchart, Seri Ruam Thai, Palang Buangchon Thai and the New Economics Parties. Together the combined number of anti-junta seats should be around 256, which is a majority of the lower house. However, The New Economics Party’s 6 seats may not be reliable and the number of seats may change. The junta party was estimated to have 121 seats, lower than Pua Thai. Combined with Poomjai Thai and Sutep’s party, the combined pro-junta seats stand at around 179. But if the Democrats use their 56 seats to support the junta, breaking their manifesto promise, the total number of seats still only reaches 235. Yet, the junta is claiming that it has the “right” to form a government. They may also use the 250 military-appointed senators to claim a majority. The turnout was 74.7% of the 51.2 million electorate. This is similar to the turn out in the 2011 election where the turnout was 75% of a smaller electorate of 46.9 million. It looks like the anti-democratic middle-class, or former yellow shirts, switched to voting directly for the junta instead of the “junta-proxy” Democrats, which they had supported back in 2011. The 2011 election was held soon after the bloody crackdown against the red shirts by the military installed Democrat government. This switch in voting explains why the junta party did well. It cannot be described as a “surge in support” for dictatorship. If we factor in the enlarged electorate since 2011, we can see that the number of votes for the junta party and the Democrat Party combined, was similar to the Democrat vote in 2011. The Pua Thai votes dropped from 15.7 million in 2011 to 7.9 million in 2019. This reflected the fact that Pua Thai deliberately did not stand in all constituencies in order not to split the vote with its sister party Thai Raksa Chart. The latter was then disbanded by the Constitutional Court. The disbanding of the Thai Raksa Chart party may have caused confusion and may have helped increase votes for Poomjai Thai party from 1.3 to 3.7 million. This party was made up of some former Taksin-allied politicians who now support the junta. The electorate also had two main choices between large anti-junta parties: Pua Thai and Future Forward. This was not the case in 2011. 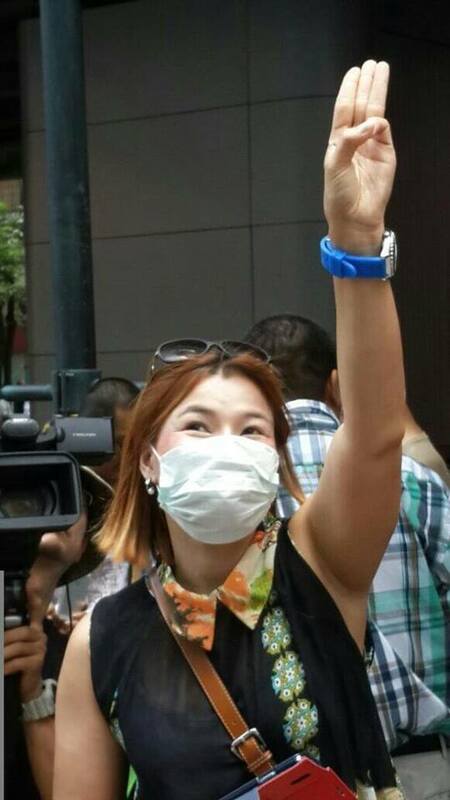 Just before Election Day, Wachiralongkorn urged the Thai people to “vote for good people”. He could not even manage to come up with this banal statement on his own, having to quote one of his late father’s statements. Conspiracy theorists wet themselves with excitement, claiming that this was an intervention in the election on behalf of the military because the junta had spent years claiming to be good people. Of course, these claims were pure nonsense. Firstly, figures showed that no one who was opposed to the military took the slightest notice of this. The same goes for pro-junta voters. Secondly, this kind of banal statement is typical of the kind of thing that the Thai monarchy has always said. It is meaningless, neutral and open to anyone to interpret in any way they wish. In short, it was irrelevant to the election. Both in terms of the popular votes for and against the junta and the estimates of seats, Prayut has no legitimate democratic claim to form a government. But that may not stop him from muscling his way into government. He has already claimed the right to form a government because his party won most votes, ignoring the higher combined votes against the junta. Even if he does not install himself as Prime Minister, the military will still use every means possible stop a civilian government from functioning normally. As Taksin wrote recently in a New York Times article, whichever side forms a government there will be instability. Only the pressure from a mass social movement can prevent the military from stealing the election or, in the event of a new government led by the Pua Thai and Future Forward parties, such a movement will be vital to ensure that the government can move forward to dismantle the legacy of the dictatorship. Parliamentary politics on its own cannot achieve this. Despite the flawed nature of the coming Thai election, the voting process provides an opportunity for citizens to express a vote of no confidence in the dictatorship by voting for Pua Thai, Pua Chart, Pracharchart, Future Forward and Commoners parties. The details of the candidates and make up of these anti-military parties is of secondary importance here. What is needed is a strong vote for the anti-military parties. The election needs to be treated like a referendum. It should also be understood that the junta’s election rules are biased against large civilian parties winning a majority of seats. This was an anti-Taksin measure. Under these circumstances spreading anti-military votes between various parties can potentially win more seats than voting for a single party. But the number of seats won by various parties is also of secondary importance. If a majority of the electorate express a vote of no confidence in the junta, it will be a strong legitimising force for those who wish to continue the struggle for democracy. It is the popular vote that matters. Given that the junta has fixed the elections, providing Prayut with huge advantages through the appointment of 250 senators, we must have few illusions in the election process. But if we do not get a strong majority of the popular vote for anti-military parties it will seriously weaken the democracy movement. Egypt is a stark reminder of the dangers of this. Lumping the Pua Thai, Pua Chart, Pracharchart, Future Forward and Commoners parties together as “anti-military” parties is an approximation, given the divergent nature of these parties. However, unlike the so-called Democrat Party, these parties have not cooperated closely with the military or sought to overthrow elected governments. They are also known for their opposition to the junta in various ways. Pua Thai Party is a right-wing pro-business party which is part of Taksin’s network. It has a history of policies which help the poor. However, it has a number of extremely unsavoury characters among its key “party list” candidates. Mafia type politicians like Sanoh Thienthong and Chalerm Yubamrung come to mind. Pua Thai’s party list candidates also include retired general Pallop Pinmanee, the “butcher of Krue Se” in Patani. Among some of the prominent policies is a wish to cut the military budget in order to use the money to stimulate small businesses. They propose a state retirement pension of 3000 baht per month. They also propose cancelling the junta’s plans to buy Chinese tanks and use the money to buy non-polluting electric buses instead. The Future Forward Party, as a newly formed party, does not contain candidates with unsavoury backgrounds from the past. It is a centrist, pro-business, liberal party with an abstract commitment to a future welfare state at some point. Yet its policies do not include any super-tax on the rich or plans to amalgamate the various health insurance policies into a single national health service. It has a few trade union candidates, but is not committed to strengthening trade union rights. Since the party is headed by a rich businessman, any benefits for working people are conditional upon businesses making profits. It has made some progressive statements about migrants and asylum seekers and solving the problems in Patani. It promises a state retirement pension of 1800 baht per month. It’s most prominent and progressive policy is to reduce the military budget to fund welfare and to end the legacy of the present military junta. Pua Chart Party, another party in Taksin’s network, is not strong on policies with vague promises about reducing inequality and promoting a “digital” future. It has promised to fund medical students from local rural communities. It has prominent Red Shirts among its candidates. Pracharchart Party, yet another party closely allied to Taksin and made up of politicians who used to be in Thai Rak Thai, has its base in the south. Its main policy is to promote justice in a multi-ethnic society. Yet it has unclear policies on how to bring peace and justice to Patani. It also proposes a state retirement pension of 3000 baht per month. The Commoners Party is a left-leaning party which is too small to win significant votes or seats, but it has some progressive policies. These include plans to amalgamate the various health insurance policies into a single national health service. It claims to be in favour of a welfare state without clear policies on progressive taxation. This NGO-backed party stresses environmental and rural issues and is influenced by “rural community economics”, closely linked to the ideas of “Small is Beautiful”. It therefore claims that workers must make sacrifices to achieve measures to reduce climate change. However, it also supports the strengthening of trade unions and reform of oppressive labour laws. 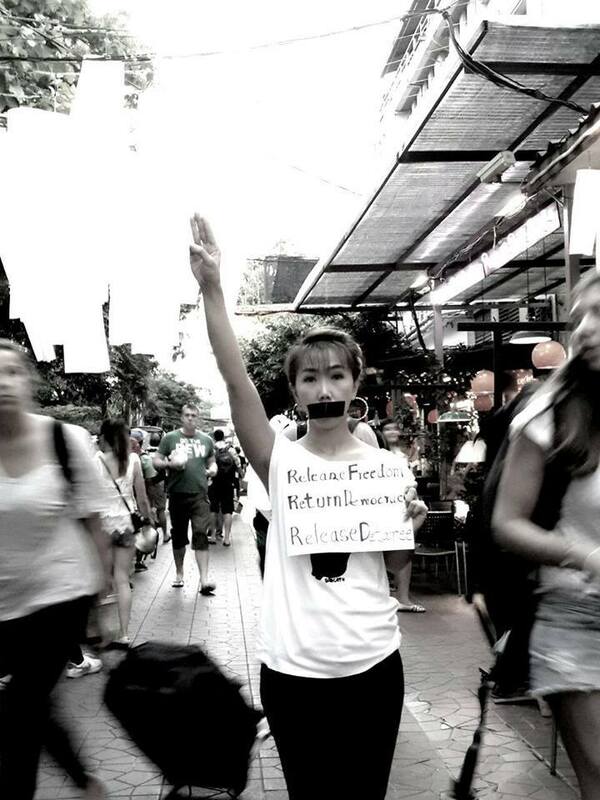 It has made noises about amnesties for Thai exiles abroad. Another plus for this party is that it is in favour of banning the use of Paraquat, which the junta has refused to do. In late February, the Commoners Party was hauled over the coals by the ridiculous Electoral Commission for using the word “military dictatorship” to describe the junta. The Future Forward Party also faces legal sanctions, mainly because they are very clearly against the dictatorship and have a large following. None of the mainstream political parties mentioned here have a policy to abolish or even reform the lèse-majesté law or to immediately establish a fully functioning and universal welfare state through progressive taxation of the rich and big business. A strong vote for anti-military parties will act as a vote of no confidence in the junta and its destruction of democracy. That is the best outcome to expect. If Prayut installs himself as Prime Minister against an anti-military popular vote, it will be a golden opportunity to build a mass movement to bring down the dictatorship. For years there have been people who have made it their job to study the minutiae of military factionalism with detailed explanations of which generals are allied to whom and from which military academy classes they graduated. Paul Chambers’ recent article in New Mandala is the latest example of this [see https://bit.ly/2O4ok2q ]. For years the Far Eastern Economic Review used to publish numerous speculative articles on this subject. With hindsight, they told us nothing of any substance about the nature of Thai politics and society. Studying military factionalism goes hand in hand with an elite analysis of the gossip about the royal family. It entirely excluded the actions of millions of ordinary citizens. In my 2010 book “Thailand’s Crisis and the Fight for Democracy”, I wrote that…. “The military is split into squabbling factions which are often a law unto themselves. Those who engage in military watching are often over-obsessed by the various factions and their leaders, forgetting the actions of other societal players. The military factions are purely about self-interest. They are also linked to various retired soldiers, businessmen and politicians. No one is allowed to hold on to top military positions for long…. generals must take their turn at the feeding trough. The military has lucrative commercial interests in the media and in the state enterprises.” [See http://bit.ly/1TdKKYs ]. Military factionalism can only explain who ends up leading a coup, but not the fundamental reasons or causes of these coups. Since 1958, none of the 6 successful military coups in Thailand can be explained by factionalism within the military. The 1971 self-coup by Field Marshall Tanom was intended to get rid of his parliamentary experiment. The 1976 coup was part of a general crack-down on the rising socialist movement and occurred at the same time as the brutal massacre at Thammasart University. The 1977 coup was staged in order to get rid of the ultra-right-wing Tanin government which had become a liability for the ruling class and was fuelling popular support for the Communist Party of Thailand. The 1991 coup against the elected Chartchai government was staged because the military feared that their influence was being eroded by politicians. The resulting junta was then overthrown one year later by a mass popular uprising. What is extremely notable is that the last two coup d’états in 2006 and 2014 were only carried out when right-wing middle-class protesters went on to the streets to oppose elected governments. This tells us that the military must rely on some form of popular support among right-wing citizens in order to stage a coup. It means that they are mindful of public reaction. Both the 2006 and 2014 coup d’états cannot be explained by military factionalism or by the attitude of the monarchy. The two coups can only be explained by the long-running dispute between Taksin’s allies and the conservative elites, the background of which is the significant changes to the social and economic conditions of millions of citizens and their unmet political aspirations. Now, I know that in 2006 I foolishly ruled out the possibility of a military coup against Taksin’s government, initially missing the fact that the reactionary mass movement of Yellow Shirts was demanding military intervention. Predictions in politics are risky things to do. But I am reasonably sure that the reason for any future coup will not be determined by military factionalism and that if it were to take place it would require a significant level of public support from conservatives. 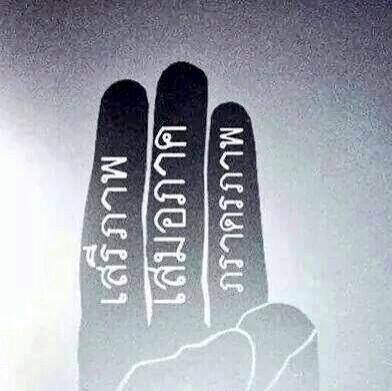 The Prayut junta had 3 levels of action to maintain their power. 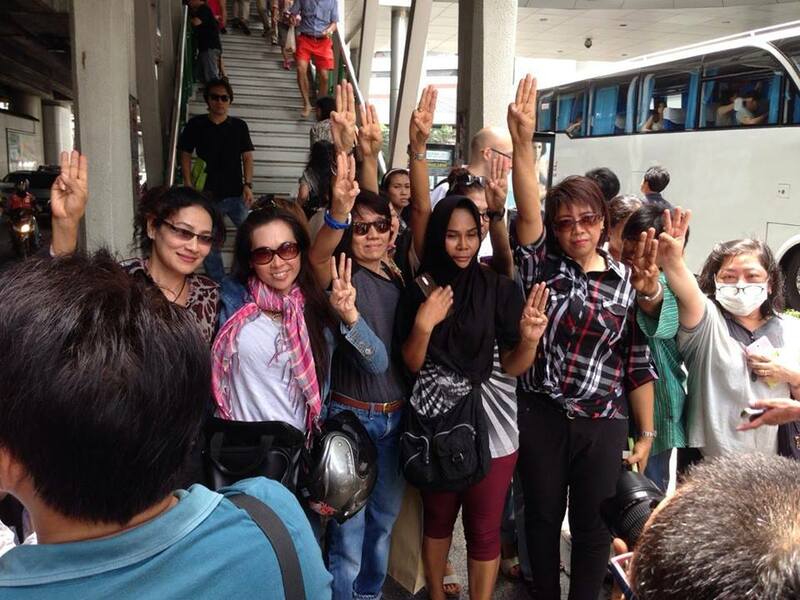 The first plan was to get Prayut elected as Prime Minister with the support of the 250 military-appointed senators. The second plan was to restrict the actions of any elected government not headed by Prayut, using the powers of the 20 year National Strategy and various junta appointed bodies like the judiciary and the senate. The third and most desperate action would be another military coup if the election does not give them what they want. But the choice and outcome of any of these 3 actions would not merely be decided in Prayut’s military headquarters and even less so in Wachiralongkorn’s German palace. It will have a real dialectic relationship with the reaction of millions of ordinary Thais. For reasons that I have explained, it seems extremely unlikely that another military coup could take place without significant backing from a right-wing movement on the streets. Finally, Wachiralongkorn is hardly the “Absolute Monarch” that some would have you believe. Such a tyrant is hardly going to choose to spend most of his life living abroad where he cannot hope to control events within Thailand. In a recent opinion article in the Bangkok Post, Chulalongkorn University academic Thitinan Pongsudhirak wrote that the “army-backed junta now appears to be the most powerful force in Thailand above and beyond any other entity”. He went on to write that the symbiotic relationship between the military and the monarchy had changed from the Pumipon era. [See https://bit.ly/2VYq3cg ]. 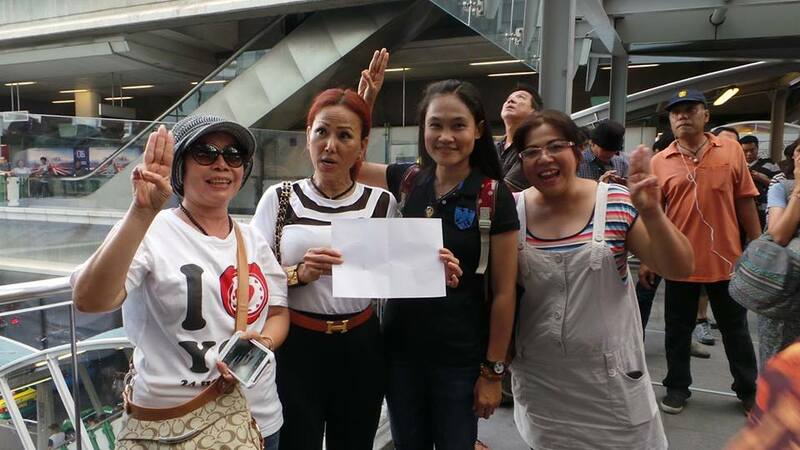 The recent incident where Taksin’s Thai Raksa Chart party nominated Princess Ubonrut as a candidate for Prime Minister, only to be rebuffed by King Wachiralongkorn, has caused a frenzy among elite and conspiracy theorists. Foreign journalists and academics have been desperately trying to pick over the entrails of the events to look for omens. This is reminiscent of the behaviour of oracles in ancient Rome or Greece. Articles in a whole range of media publications, ranging from the New York Times to the South China Morning Post have regurgitated this nonsense. Thai politics, in the eyes of these academics and Western journalists, is quintessentially different and exotic. The most striking aspect that these commentators wish to emphasise is the supposed “child-like” and “ineffectual” nature of ordinary people in regard to Thai politics. For them, only the juicy drama of the elites really matters. This elitist view has a long history. In the 1960s David Wilson wrote that the 1932 revolution was merely a dispute among the elites with little popular participation. John Girling repeated this claim in his 1980s book. This view was repeated by David Morell and Chai-anan Samudavanija. Yet there is much research that shows the key involvement of ordinary people in this event. The daddy of this right-wing elitist view was Fred Riggs, who claimed in the 1960s that Thailand was a “Bureaucratic Polity”, where politics was the exclusive preserve of the elites and totally immune from class struggle or participation from below. This became the political science bible for many conservative Thai academics. Political Science in Thailand, up to the early 1990s, was dominated by these right wing ideas from the USA. Most mainstream academics agreed with the Structural Functionalist School of democratization. The main ideas were about building “stability” and “social norms”. The emphasis was on crafting democracy from above by enlightened academics. The “people” had to be “educated” to understand democracy. Organisations like the King Prachatipok Institute, named after Thailand’s last absolutist king, took it upon themselves to craft Thai Democracy and educate the people. 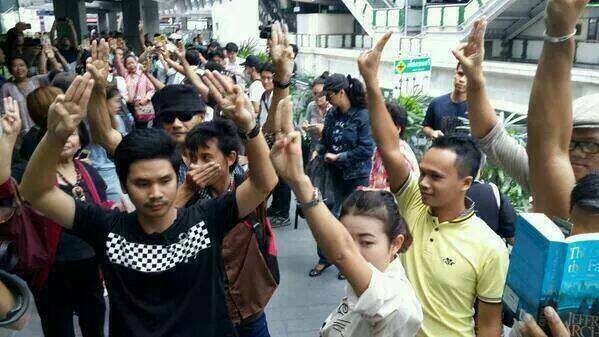 Today, the Thai military junta and its supporters have maintained the need to “educate” Thai people in democracy! Academic Thinapan Nakata wrote in 1987 that “Most Thais prefer use of absolute power. They are obedient and submissive.” My former boss at Chulalongkorn University, Suchit Bunbongkarn wrote in the same year that Thais have a “non-participatory political culture”. His aristocratic colleague Prudhisan Jumbala also wrote that “Labour associations are all created at the impetus of the bureaucracy”. I am not sure that Prudhisan had ever met an active Thai trade unionist! In terms of how to relate to the Thai military regime, the views about democratisation among mainstream officials and politicians close to Western governments are heavily influenced by right-wing “comparative politics” theories associated with academics like Guillermo O’Donnell. For these people, democratic transition is all about the behaviour of elite factions and how they manage a stable transition to so-called democracy. They are blind to and terrified of the prospect of mass movements of the working class and the poor rising up to overthrow authoritarian regimes. This elitist narrative lives on. In his book The King Never Smiles, Paul Handley recycled the ideas of Fred Riggs by claiming that the entire political process in Thailand since the Second World War was determined by King Pumipon, claiming that Sarit was just Pumipon’s puppet. The exact opposite was the case. Sarit and his military allies were responsible for promoting Pumipon and he was grateful and beholden to them. Handley also stated that ordinary Thai people, especially those living in the countryside, are blissfully ignorant of political events. He claimed that when Pumipon became king most Thais were uneducated, did not understand the concept of a modern state and were happy for the king to do everything for them. In fact Pumipon did very little and had no power. Handley also claimed that the 14th October 1973 uprising, when half a million students, workers and ordinary citizens drove out a military junta, was just the work of Pumipon and his advisors. Finally, Handley claimed that the 19th September 2006 coup against Taksin took place because the Palace and the military did not want Taksin to promote Wachiralongkorn as the next king over his sister Princess Sirintorn. This final statement is rather ironic in the light of recent events. Duncan McCargo sought to explain the war in Patani and the political crisis involving various coups against Taksin’s party by claiming that it was just an elite dispute between “network monarchy” and “network Taksin”. The genuine sense of injustice felt by the Malay Muslim population of Patani or the activism of millions of Red Shirts was just written out of the plot. In fact there is ample evidence that the crisis had deep-rooted structural causes and involved the building of the largest pro-democracy social movement in Thailand’s history. [See http://bit.ly/2bSpoF2 ]. There are also many accounts of how the struggles of ordinary people have shaped events throughout Thailand’s recent history. The writings by Katherine Bowie, Kevin Hewison, Somchai Pataratananun, Andrew Walker, Mary Beth Mills, and Bruce Missingham come to mind. [See also https://bit.ly/2SyK7ok and http://bit.ly/1TdKKYs ]. More recently the view that the elites monopolise Thai politics to the exclusion of ordinary citizens has been reproduced again by Andrew MacGregor Marshall. Eugénie Mérieau’s analysis in her paper on the “Deep State” also comes from this elite tradition. Most recently, after the events involving Ubonrut, Mérieau characterised the military junta as a military dictatorship under royal absolutist command. What is different for MacGregor Marshall and Mérieau is that unlike Riggs and the other right-wing writers, they genuinely wish to see an end to dictatorship and the building of democracy. However, their analysis is incorrect and an obstacle to this. [See https://bit.ly/2EOjsNL ]. 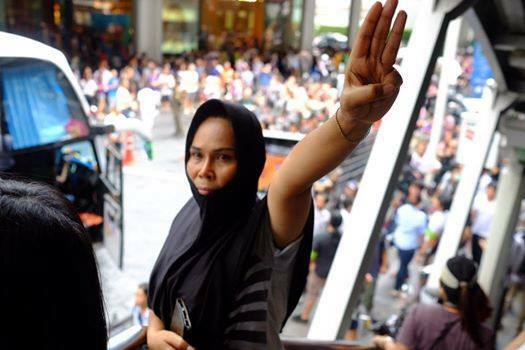 Apart from totally ignoring the social movements, actions by ordinary citizens and the excitement among Thais generated by new political parties in the run up to the elections, the power of Wachiralongkorn is grossly exaggerated by MacGregor Marshall and Mérieau. [See https://bit.ly/2teiOzQ and https://bit.ly/2oppTvb ]. Power is not something which people can inherit in a passive manner. If Wachiralongkorn is now an “absolute monarch”, when did he rise to power by destroying his political opponents? Who was in charge during the 5 or 6 years when his father Pumipon was incapacitated and dying? Given that tyrants often get deposed when travelling abroad, why would Wachiralongkorn wish to spend most of his time living in Germany if he had ambitions to become an absolute ruler? The nomination of Ubonrut by Taksin, was just a pathetic attempt to bargain with the military by claiming that he had a “sacred amulet” equal to the power of the military dictatorship. The power of Taksin’s sacred amulet was soon exposed to be nonsense within hours. [See https://bit.ly/2SHQrZW]. Taksin was using the princess, just like the military and the elites have used Pumipon in the past and are now using Wachiralongkorn. 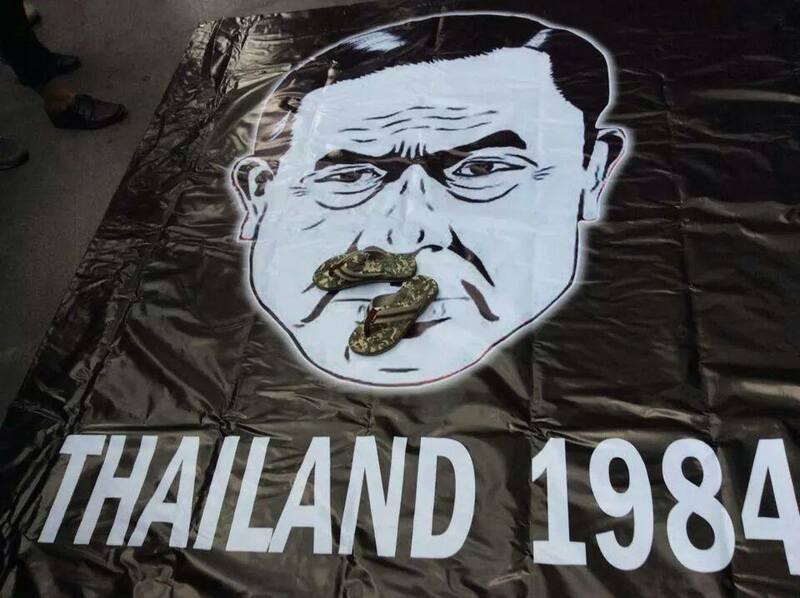 The elitist and conspiracy theorists totally ignored the fact that Taksin’s move had nothing to do with expanding and developing democracy, something which ordinary Thais have achieved in the past. The real issues for most Thai citizens, as we approach Paryut’s flawed elections in a few days’ time, is how to dismantle the legacy of the military dictatorship and how to build a free and just society. No study of royal entrails will give any guidance for those seeking to carry out this immensely important task. David Wilson (1962) Politics in Thailand. Cornell University Press. John Girling (1981) Thailand. Society and politics. Cornell University Press, USA. David Morell & Chai-anan Samudavanija (1981) Political conflict in Thailand: reform, reaction and revolution. Oelgeschlager, Gunn & Hain. Fred Riggs (1966) Thailand. The modernisation of a Bureaucratic Polity. East West Press. Gabriel Almond & Bingham Powell (1966) Comparative Politics: a Developmental Approach. Little Brown, Boston. Gabriel Almond & Sidney Verba (1963) The Civic Culture: Political Attitudes and Democracy in Five Nations. Princeton University Press. Lucian Pye & Sidney Verba (1965) Political Culture and Political Development. Princeton University Press. Thinapan Nakata (1987) Political Culture: Problems of Development of Democracy. In Somsakdi Xuto (ed) Government and Politics of Thailand. Oxford University Press Singapore. Suchit Bunbongkarn (1987) Political Institutions and Processes. In Somsakdi Xuto (ed) Government and Politics of Thailand. Oxford University Press Singapore. Prudhisan Jumbala (1987) Interest and Pressure Groups. . In Somsakdi Xuto (ed) Government and Politics of Thailand. Oxford University Press Singapore. Guillermo O’Donnell, Philippe C. Schmitter, Laurence Whitehead (1986) “Transitions from Authoritarian Rule: Comparative Perspectives.” JHU Press. Paul Handley (2006) The King Never Smiles. Yale University Press. Thak Chaloemtiarana (1979) Thailand: The Politics of Despotic Paternalism. Cornell University Press. Paul Handley (2006) “What the Thai Coup was really about” 06 November 2006 Asia Sentinel website. Duncan McCargo (2005) Network Monarchy and the legitimacy crisis in Thailand. The Pacific Review 18(4) December, pp 499-519. Katherine Bowie (1997) Rituals of national loyalty. Columbia. Kevin Hewison (1996) Emerging social forces in Thailand. New political and economic roles. In: Robison, R. & Goodman, D. S. G. (eds) The New Rich in Asia. Routledge, UK. Somchai Pataratananun (Phatharathananunth) (2006) Civil Society and Democratization. Social Movements in Northeast Thailand. NIAS press. Andrew Walker (2008) The rural constitution and the everyday politics of elections in northern Thailand. Journal of Contemporary Asia, 38:1, 84 -105. Mary Beth Mills (1999) Thai women in the global labor force. Rutgers University Press. Bruce Missingham (2003) The Assembly of the Poor in Thailand. Silkworm Books. Andrew MacGregor Marshall (2014) “A Kingdom in Crisis”. Zed Press. Eugénie Mérieau (2016) “Thailand’s Deep State, Royal Power and the Constitutional Court (1997–2015).” Journal of Contemporary Asia 46(3).